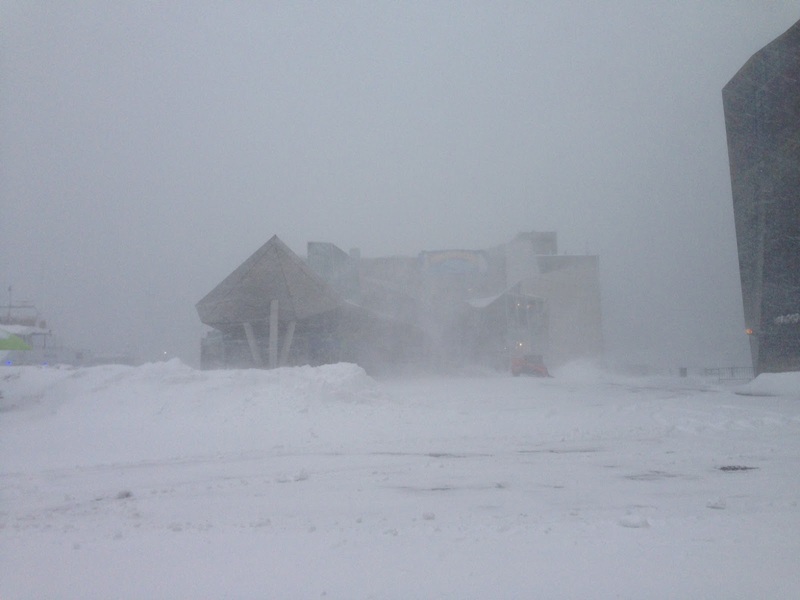 The Aquarium is closed today because of the winter storm. But a hardy crew of maintenance workers and animal care givers were on hand to give the fish, seals, penguins, octopus, turtles, snakes and all the critters their daily vittles. 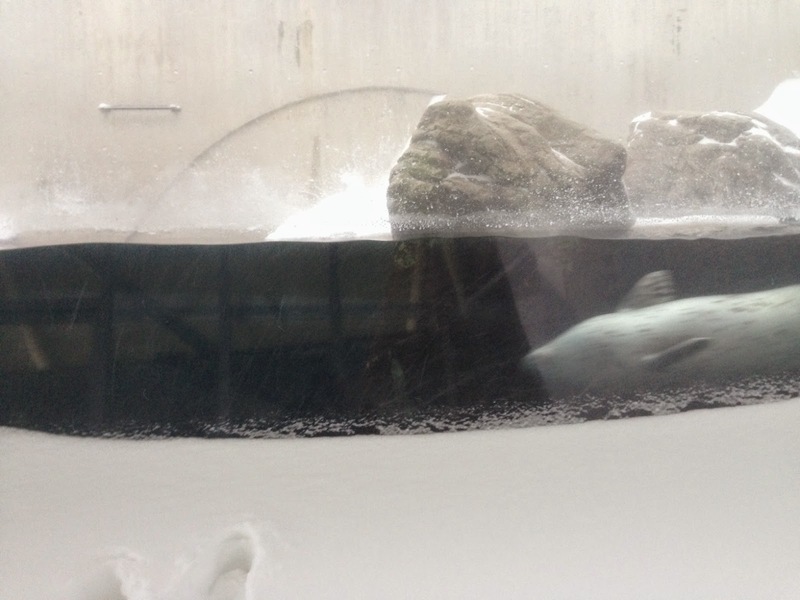 Diver Sean Marden snapped these pictures on his way in to feed Myrtle and the gang in the Giant Ocean Tank. 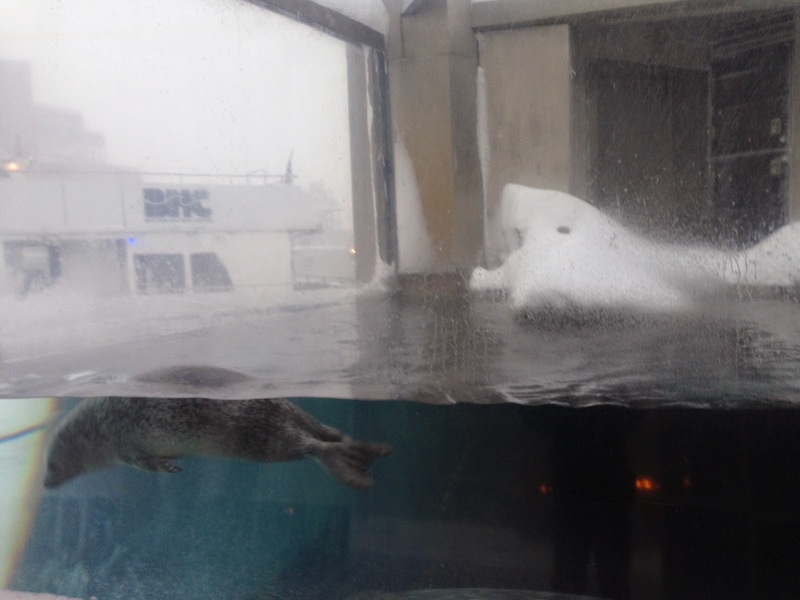 Trust us, the Aquarium is still there behind all that snow! While the animals are all safe and sound, the storm rages on. 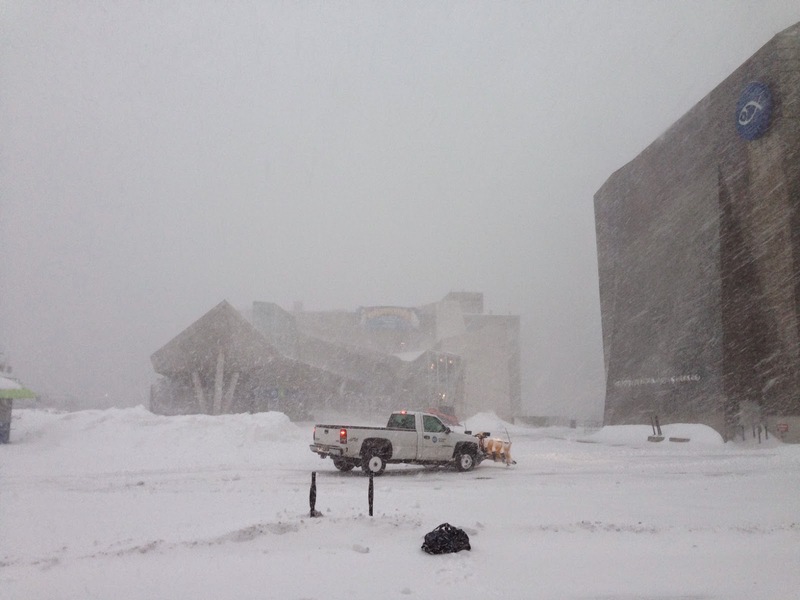 The Aquarium will remain closed for the rest of the day today. If you're planning a visit tomorrow or later this week, be sure to check our website first.